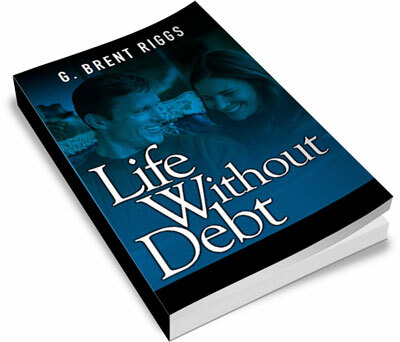 In my eBook you will find everything you need to get out of debt FAST, and stay out of debt FOREVER! Just that would be plenty to get you out of debt but then I go EXTREME! I give you a truck load of ways to accelerate paying off your debt. How fast you get debt free is up to you. No, you don’t. Save up an emergency cash fund to use as a safety net. You will be surprised how many fewer “emergencies” you actually have if you’re spending cold hard cash instead of running up the credit card. I once knew a female about 30 years old who had one of these “safety net” credit cards. Over time, the balance crept up to around seven or eight thousand dollars. This debt came from things like new tires on the car, roof repair on the house, new clothes for a new job… you know, “emergencies”. The interest rate on the card was around 21%, and she did not have good enough credit to move it over to another credit card with a lower annual percentage rate. She was barely able to make the interest payments, and over time, the card was actually creeping up in balance each month. After paying on the card for several years, she not only had not reduced the balance, the total owed had grown several hundred dollars. I ended up helping her talk to the credit card company to get the interest rate lowered and then take a one-time lump sum payment for the balance which ended up showing on her credit report as a judgment against her. She only had to pay about half the balance and the credit card company STILL made out like a bandit. Of course, she was still stuck with paying off the lump-sum loan, but at least it wasn’t on a credit card because she had a family member who put up the money and didn’t charge interest. That doesn’t sound like a very fun life does it? Nope, but I can tell you something that is a lot less fun: being up to your eyeballs in debt and stressed out of your mind about money. You can make your money go a lot farther if you will learn the art of bargaining. Learn to make offers on anything and everything you can possibly wheel and deal. You have to get over being embarrassed or thinking that only tightwads bargain with people. America is one of the few countries where bargaining is not simply a way of life. The worst thing that can happen when you bargain is you will be told “no” or be ridiculed. What’s worse? Paying an extra 30% because you were too scared to bargain or risk being snickered at? After you get used to bargaining, you’ll actually find that it’s quite a lot of fun. It becomes a challenge to see how much and what kind of deals you can talk people into. However, you have to be prepared to walk away. You have to learn to turn your back and move on if you don’t get your asking price, no matter how badly you want something. You have to wait for another day. Why? It is easy to sense when a person already has their mind set on buying something. Once you give off that vibe, they’ve got you. You can forget any bargains. Never pay ticket price for any large item. If you are in a major chain store, ask for a manager. They often have the authority to give on-the-spot discounts, especially on things like appliances, furniture, and other large ticket items. Learn to wave your cash around, especially if it is a private seller. Usually a private seller is extremely motivated, and the sight of a few $100 bills waving around in front of his nose will make him even more motivated. Make an offer, count out the bills in front of him, and if the offer is not immediately accepted, simply pick up your cash and tell the seller to call you if he changes his mind. You’ll find it humorous how many times you won’t get three steps away from him before he has changed his mind and wants to accept your offer.